If you are looking for an energy efficient, quick and precise way of preparing delicious food, induction cookers are an affordable option. 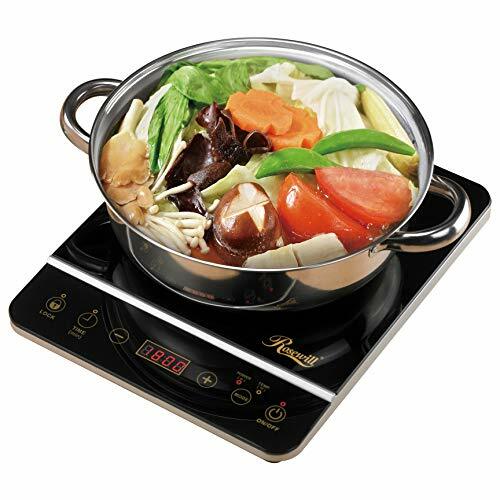 The most popular ones are portable and are equipped with one or two induction burners. These cooktops vary in temperature and power levels, safety features, design, and cooking surface dimensions. 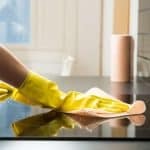 We selected three quality cooktops to review that have a lower price point than some of the others on the market. If you aren't sure you want to switch to an induction cooktop, then a less expensive model might be a good option. Also, if you just want to use a cooker for an extra burner or warmer once in awhile, then one of these three will work just fine. 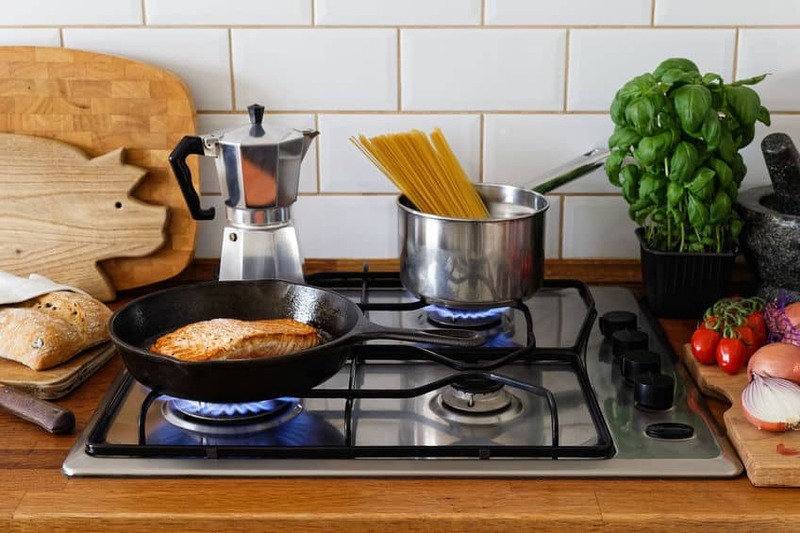 Conventional electric or gas stoves distribute heat differently than induction cooktops. Food is heated on standard ovens when an open flame or a hot surface comes into contact with the bottom of the cooking vessel. 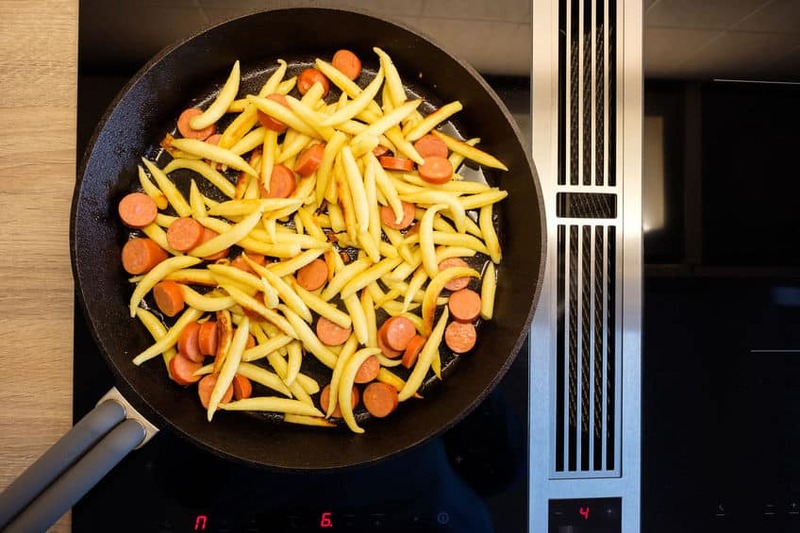 Whereas with induction technology, the cooking vessel generates the heat. This type of cooktop contains a ceramic plate with a coil underneath it. When the unit is turned on, an electric current passes through the coil producing a magnetic field. 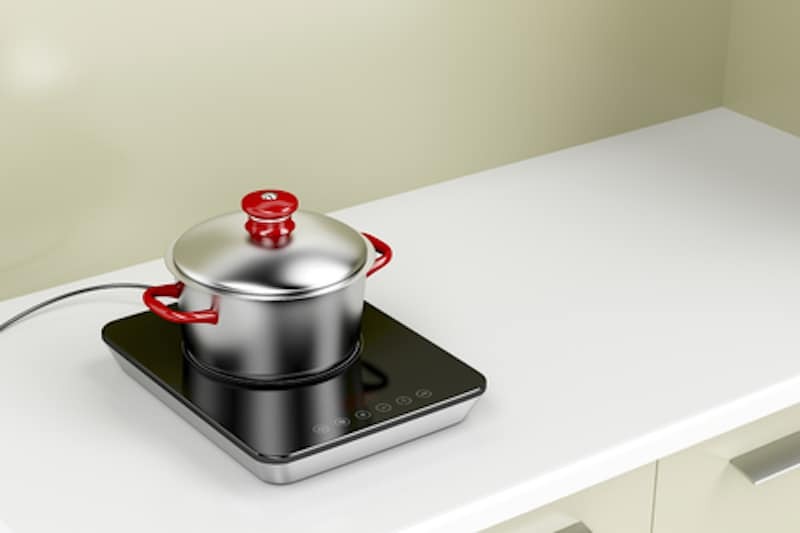 Electric currents are then generated in the vessel's metal when an induction ready pot or pan is placed on the cooktop. The surface is then heated, with the heat being transferred to the pot or pan containing the food or liquid. 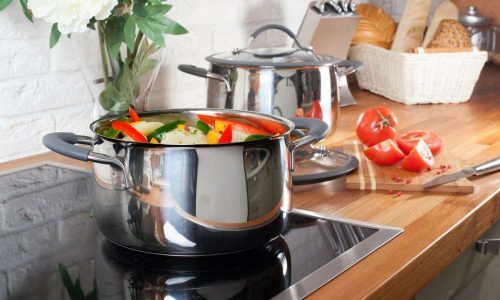 Pots and pans made of cast iron, cast enameled iron, steel and cookware that have a base made of a magnetic grade of stainless steel are all induction ready. A lot of people first check the pots and pans they have on hand to see if they are induction friendly. This is done by placing a magnet on the bottom of the cookware and if the magnet sticks securely, then it is suitable for use on an induction cooker. The cookware must also be flat so that it will be in contact with the surface of the cooktop. If you decide to buy new cookware, you can either purchase a set or just the pots and pans you use on a regular basis. 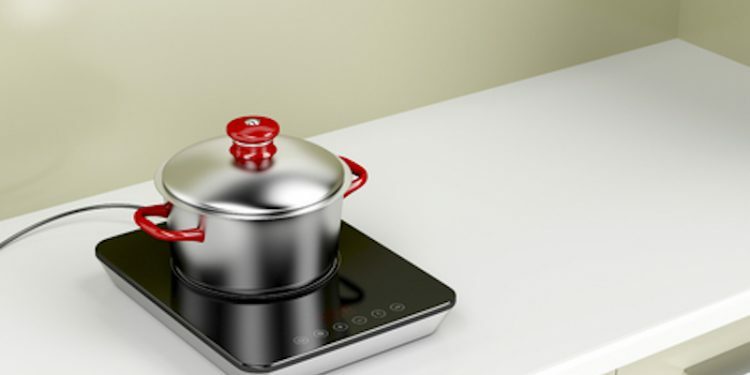 Induction ready cookware can also be used on gas and electric cooktops. The Rosewill RHAI-16001 1800-Watt Induction Cooker Cooktop with Stainless Steel Pot has eight temperature and eight power levels which are pre-programmed as well as a child lock. An 18/8 3.5 quart stainless-steel pot (10 in) and removable lid are included with this cooker. The Rosewill RHAI-16001 1800-Watt Induction Cooker Cooktop with Stainless Steel Pot has a touch control panel, a settings lock and a large LED display. In terms of aesthetics, it is an elegantly designed device with a polished crystal cooking surface. Once the cooktop is plugged in to the outlet, the ON/OFF key flashes, indicating it is connected to a power source and is in standby mode. After placing the induction compatible pot or pan on the cooktop, press the ON/OFF button to power on the unit. The cooking mode (power or temperature) and wattage or temperature can then be selected from the available levels/settings. The power and temperature levels are adjusted using the [+] and [-] buttons on the control panel. The 8 power levels range from 300 to 1800 watts. The settings are: 300W, 500W, 700W, 1000W, 1200W, 1400W, 1600W, and 1800W. The default power level is 1200W. 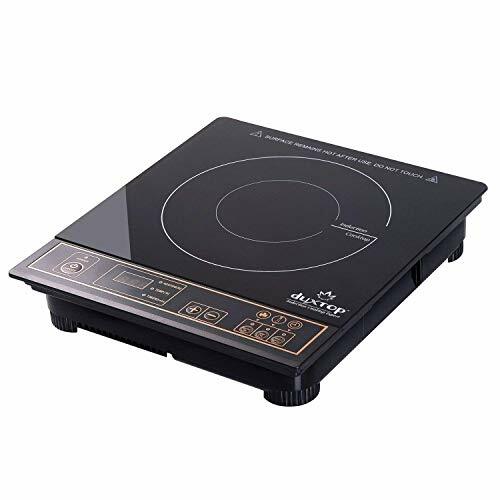 The electrical requirements for this 1800 Watt induction cooktop are 110-120V/60MHz. There are 8 temperature settings which range from 140°F to 460°F. The settings are: 150°F, 200°F, 250°F, 300°F, 350°F, 400°F, 425°F, and 450°F. The default temperature setting is 425°F. This Rosewill model has a built-in countdown digital timer with one minute increments up to 3 hrs. The default time of 30 minutes appears and can be adjusted using the [+] and [-] buttons on the control panel. When time has expired the unit will switch to the standby mode. At a weight of 5.1 pounds it really is a portable, lightweight and compact unit. The size of the crystal glass surface is 10.6" x 9.6" (per Rosewill customer service). The pan size should be between 4.7 and 10.2 inches for optimal performance. The display panel and cooktop surface are separated by a piece of material. The digital panel includes function lock, timer, controls to adjust time, temperature and power, LED display, mode function (select either power or temp mode) and the ON/OFF control. The physical dimensions of the Rosewill RHAI-16001 are: 10.6 x 9.6 x 2.4 inches (L x W x H). The unit will shut down when it senses internal overheating or when a pot or pan is removed from the cooktop. It is also equipped with cookware detection that determines whether the cooking vessel placed on the cooktop will work with the unit. The cookware has to be induction ready for the unit to heat up. This prevents your pots and pans from being damaged thus saving money and aggravation. If issues arise such as too high or too low voltage, internal circuit, or open/short circuit an error message will appear in the LCD display. The manual has troubleshooting information that will help the user address these problems. Pyle USA, the parent company of NutriChef, manufactures electronics and technology products. 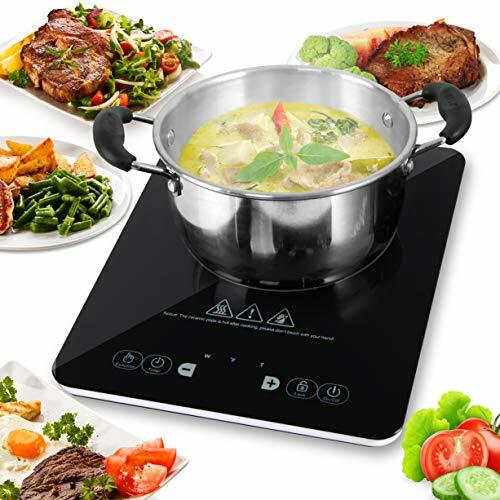 Their NutriChef Electric Induction CookTop - Upgraded (PKSTIND24) has a tablet-like surface with an Digital LCD Display Screen. This interface allows you to monitor, the timer, temperature and power consumption. This is a 1800 Watt, 120 Volt cooker. The 10 temperature and 10 power settings are pre-programmed. This tabletop induction burner has a 100 Watt setting and a child lock. Timer can be set up to 4 hours in one minute increments. Accommodates pots and pans w/ diameter of 4.7” to 10"
The fan sound is comparable to a computer fan (per Pyle USA customer service). If cookware that is NOT induction compatible is placed on the cooktop, the unit will NOT automatically shutoff. It will beep, alerting you the cookware will not work. When cookware is removed from the cooktop surface, the unit will beep. I was impressed with Pyle USA's customer service. I emailed a list of questions and received a prompt reply. Their employee was clearly familiar with the unit and didn't merely rely on a user manual for the answers. Duxtop is a company known for its quality cookware and induction cooktops. This DUXTOP 1800-Watt Portable Induction Cooktop 8100MC is easy to operate, lightweight and reasonably priced. A one minute delay between the time the pan is removed from the burner to when the unit shuts off. The tablet design increases the chance of the settings being changed or liquid spilling onto them. The DUXTOP Portable Induction Cooktop 8100MC is an 1800 Watt unit that has 10 temperature and 10 power settings (pre-programmed). The 10 power levels range from 200 to 1800 watts. The level number, from 1 to 10, appears on the LED screen. The default power level is 5. The levels equate to these wattages: 200W, 500W, 800W, 1000W, 1200W, 1300 W, 1400W, 1500W, 1600W, and 1800W. There are 10 temperature levels which range from 140°F to 460°F. The default temp is 390ºF. The settings are: 140°F, 180°F, 210°F, 250°F, 280°F, 320°F, 360°F, 390°F, 430°F, and 460°F. The dimensions of this table top induction cooktop are 13 x 11.4 x 2.5 inches (L x W x H) and it weighs 5 pounds 12 oz. The diameter of the pan should be at least 4 inches. The electrical requirements are 110/120V with a 15 amp capacity. The cookware and contents must not weigh more than 25 pounds. The 8100MC user manual provides a table that equates the power level to wattage and cooking level. It also has a chart that links the temperature level to the temperature reading in both Fahrenheit and Centigrade.